It was, I followed the link to a story run by AOL News about a lady who injected cooking oil into her face. What I thought I would get a good laugh from turned into soemthing completely different. There is nothing funny about it at all. 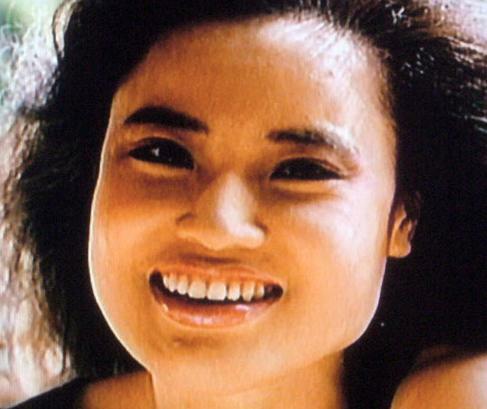 Apperently this Korean woman had many cosmetic surgeries before this, to the point where a doctor gave her a siringe and some silicon so she could do it herself. The problem came when she ran out of silicon. I guess she thought the cooking oil would be the same. Instead of making herself more beautiful, she is now unrecognizable. The problem is that anything we could ever do would never be enough. God says that our own righteousness is as filthy rags. The only way to be accepted by Him is to accept that what His son Jesus did on the cross is all that is needed. It is His righteousness that we need. Any tampering or attempt to add to it by us can only end in disfigurement. He loves you how you are. If anything needs changing, don’t try to operate on yourself, let the Great Physician do it. very cool analogy. I almost pictured “religion” as being the cooking oil we try to replace a radical life-altering relationship with God. Thanks Christopher for stopping by. You didn’t have to implicate yourself though, lol. Jeromy – Spot on, as usual. It was a good analogy, though, and it did kind of give me something to think about. Wonderful word in due season!! I cried as I read it. Something I needed to be reminded of. Thx!! !